“Morningstar” is a free app for iPhone and Android, and now available on the Apple Watch as well. Morningstar is mainly a rating service for mutual funds but the app also provides info on current market action. 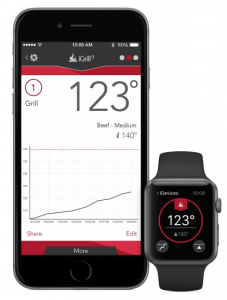 “iGrill” or “Kitchen Thermometer” from iDevices. It tells you how hot your food is and lets you reset temperatures.